A versatile tool suited for law enforcement, military, outdoor/camping, search, and everyday use, the MT40GT Multitask Series LED Flashlight features a wide range of settings and durable construction. 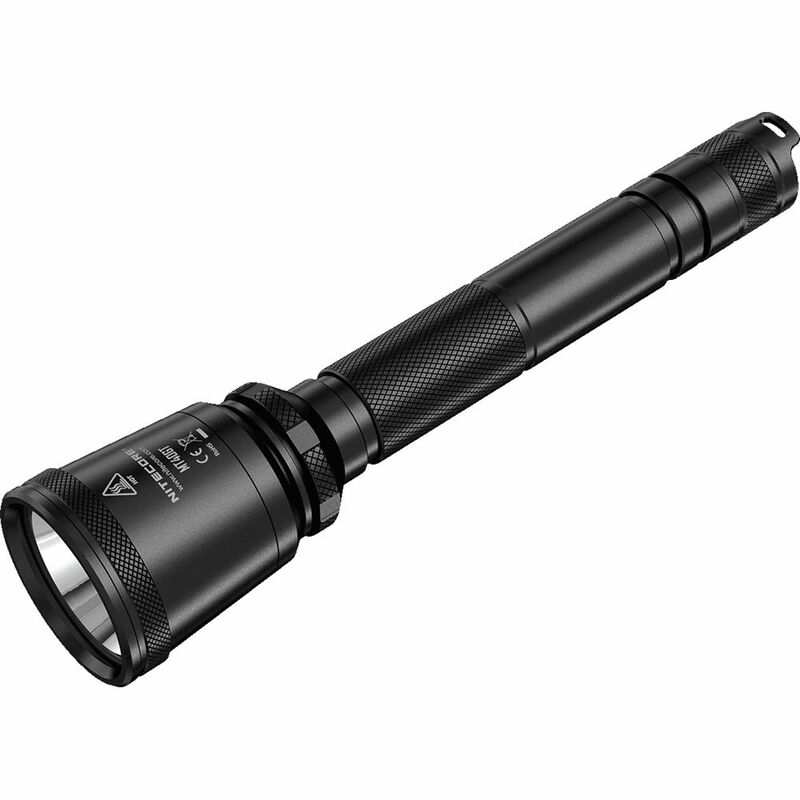 Its Cree XP-L HI V3 white LED produces outputs from 90 to 1,000 lumens in four settings plus strobe and SOS. You can toggle easily between Turbo and a user-defined mode by loosening or tightening the head, or cycle through the modes using the tailcap push-button switch. Built for durability, this light features an aluminum housing with a Type III hard-anodized finish that resists scratching and corrosion. It is O-ring sealed with an IPX8 rating for submersion to 6.6', and is impact-resistant to 5 feet. The light runs on two 18650 or four CR123 primary or rechargeable batteries. Reverse-polarity protection circuitry prevents damage to the light's circuitry if the batteries are installed incorrectly, and over-heat protection circuitry automatically steps down the output after 5 minutes on Turbo. Box Dimensions (LxWxH) 9.9 x 2.8 x 2.5"
It includes battery and charger? Batteries and charger are NOT included. Does this torch have red &amp; blue flashing lights Does this torch have red and blue flashing lights?